ES Systems has developed ESRF-ESF Series, a MEMS gas flow meter family, based on the hot-film anemometer principle for mass flow measurements. ESRF-ESF Series gas flow meters feature bidirectional gas flow sensing of up to ±500 ln/min with a total error band of 1% m.v. The streamlined symmetrical body design, manufactured from high quality plastic, presents very low pressure drop even at the maximum flow in both directions. Calibration gas is air but other non-aggressive gases are available upon request. 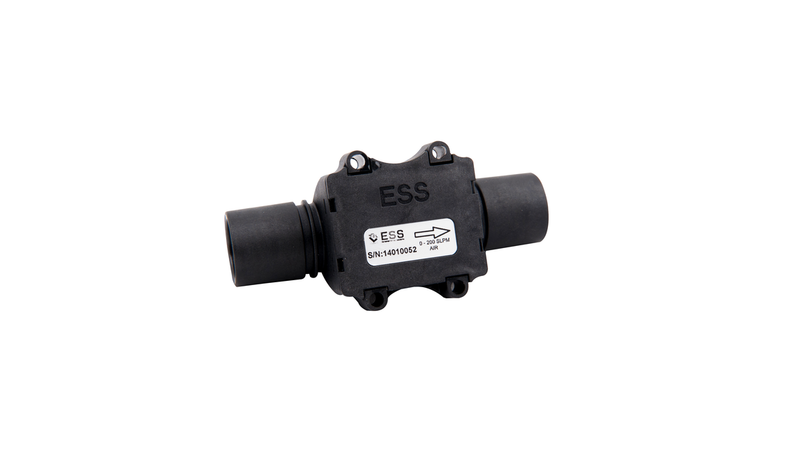 Operating down to 3.3V supply voltage, ESRF-ESF Series gas flow sensors provide calibrated and temperature compensated output on an SPI or I2C bus making them plug and play for direct interfacing to low voltage MCUs and systems. The user is provided with a multitude of options (e.g. power supply, uni/bi directionality or analog output) so that the right sensor configuration can be selected based on the specific requirements for each application. Due to the compact design, and versatility, ESRF-ESF Series gas flow sensors are ideal for industrial, process and chemical equipment where high accuracy and reliability are of the essence. Total Error: 1 % m.v.